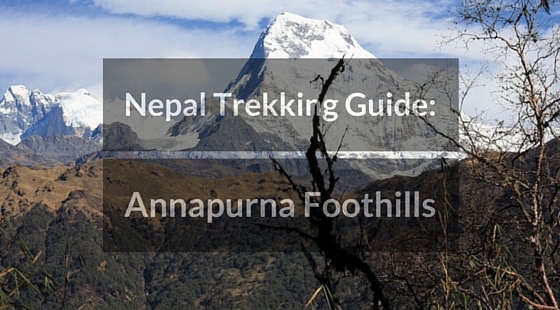 An introductory guide to help you prepare for your first trek in Nepal. 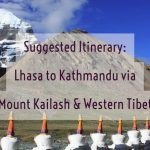 In this article we aim to cover many of the frequently asked questions that travellers have when they are planning a trek to the Nepalese Himalaya. When is the Best Time of Year to Trek in Nepal? As a general rule, between October to December and February to May are considered to be the best months for trekking in Nepal. This is the dry season; daytime temperatures are warm, the skies are clear and mountain views are often superb. Furthermore, there is less chance of landslides or higher up, avalanches during these periods, although the possibility is always there, regardless of when you trek. January is also a good month to trek at lower altitudes but it can be extremely cold at higher terrains. Of course high season equals the busiest season. For quieter trails, consider trekking in early December before the Christmas/New Year rush; it’s slightly colder but the usually clear skies mean the views are fantastic and the teahouses and lodges are not so busy with trekkers. 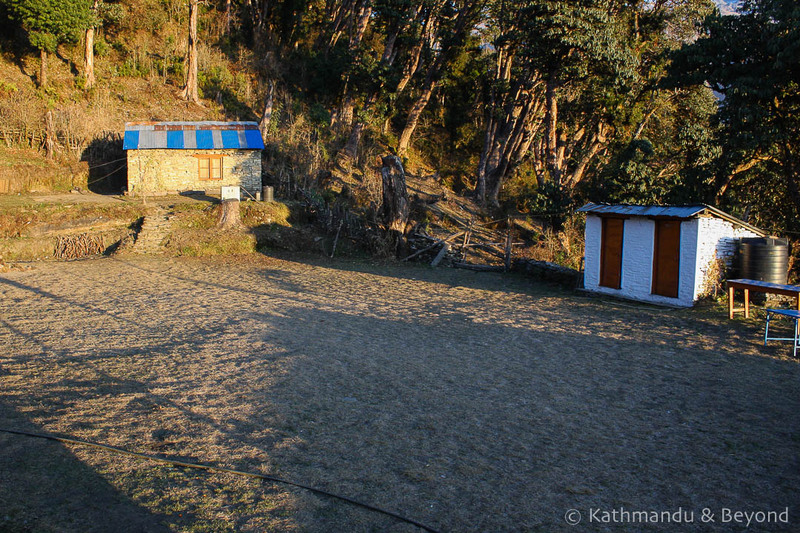 There are three trekking styles available in Nepal: Teahouse, Lodge and Camping. The classic Teahouse trek involves stopping to sleep at local teahouses along the way, the standards of which are invariably basic but clean. 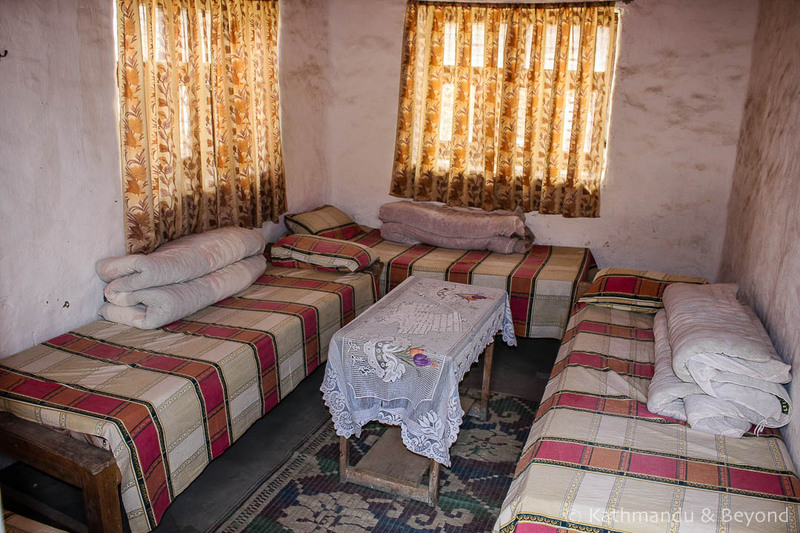 Rooms are mostly simple and washing and toilet facilities are shared. This is the most popular style of trekking in Nepal. Teahouses on established trails (Everest Base Camp, Around Annapurna, Gokyo Lake, etc.) are numerous and often you don’t have to walk more than a few hours before you come across one. As well as being a place to sleep, teahouses also provide meals, solar power, a hot shower (usually) and sometimes even a Wi-Fi connection. This style of accommodation is almost unique to Nepal and perfect for those who want to trek independently and still get into the heart of the mountains. As a general rule, the higher you go, the more basic the teahouse becomes. Teahouse trekking is the most economical way to trek in Nepal. 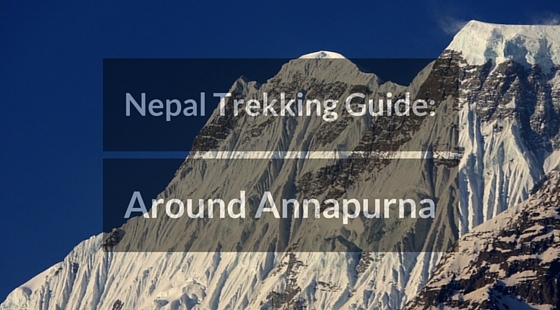 Count on around US$25-30 per person per day for the Annapurna region and US$30-35 per person per day for the Everest region (2016 prices). This will get you a basic room, three square meals a day, a daily chocolate bar (trust me, you will want this), an hour of solar charging and a hot shower every third day or so. The daily budget will increase if you start adding in beer, fancier food (see below for more about the kind of food you can expect),Wi-Fi, etc. Lodges offer superior accommodation with attached bathrooms but they are mostly restricted to lower altitudes and are found in fewer destinations. 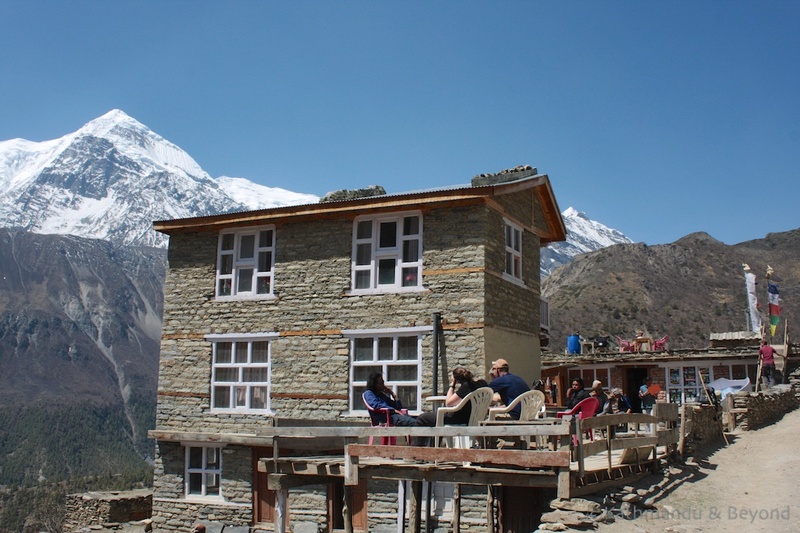 There are a few independent lodges, for example the Jomsom Mountain Resort, but mostly lodges are part of a group and can be linked to create an itinerary that stays exclusively in their lodges. 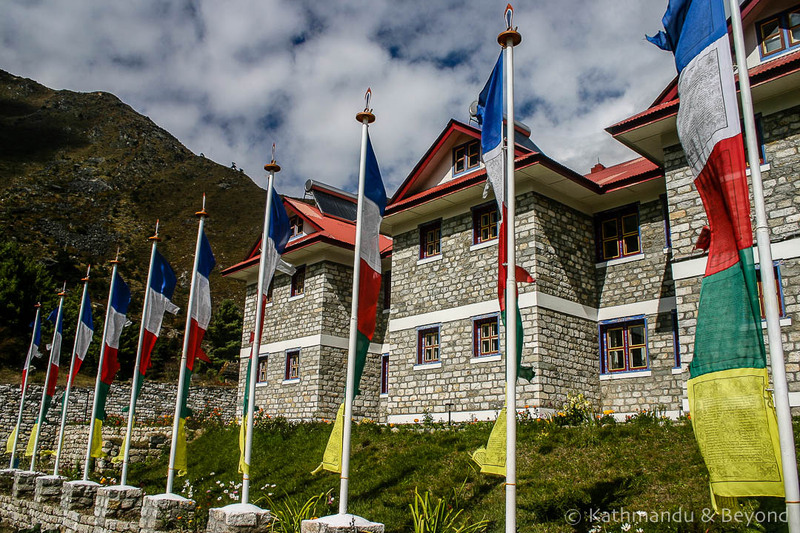 Examples include Ker & Downey, who offer a series of itineraries in the lowlands of the Annapurna region, plus Everest Summit Lodges and Yeti Mountain Homes who both have lodges (and offer organised trekking itineraries) in the Everest region. This type of trek is perfect for those who have limited time, a bit more cash to spend, who want everything organised in advance and enjoy their creature comforts. Expect decent food, a cold beer, a hot water bottle in your bed at night and a personal porter to carry your luggage from one lodge to the next. Finally, there is the camping trek, which involves sleeping in tents. In this instance, backpacking in the mountains with your own tent and camping gear is not the definition of a camping trek (*). 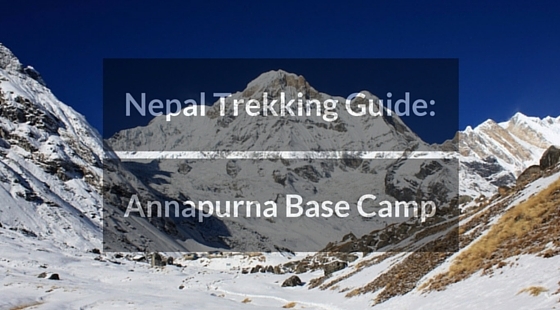 In Nepal, a camping trek is something quite different and requires almost military-style organisation. This option is, therefore, better suited to groups or expeditions into more remote trekking regions where sleeping under canvas is the only choice available. 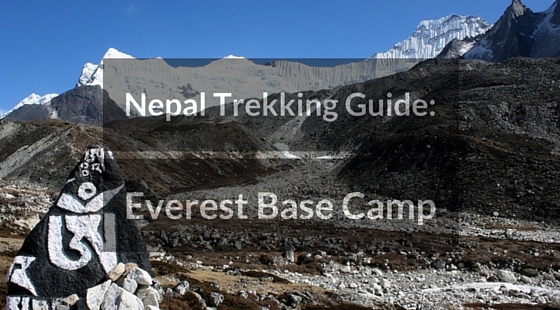 (*) You can of course trek in Nepal and carry your own tent and camping gear. Several teahouses on established treks have camping sites either attached or close by where you can pitch a tent. Remote camping, i.e. away from any settlement, is also an option but in order to do this you would need to carry more supplies and if you are trekking independently there is the question of security to consider. In my opinion, if you are trekking on an established trail with plenty of teahouses along the route, it seems pretty pointless to carry your own tent and camping gear. And if you are planning on heading into a remote area that necessitates camping and all the logistics that go with it then I would suggest joining an organised camping trek. Arranging your own camping style trek is hard work. It is best, therefore, to organise this type of trek through a trekking agency. A camping style trek will include all the necessary equipment (tents, sleeping bags, cooking appliances, portable toilet, etc. ), food and drinking water, a medical kit, guide(s), a cook and a small army of porters who will carry the equipment as well as the personal gear of each group member. Under the guidance of the head guide (known as the Sirdar), the crew are also responsible for setting up camp and dismantling it the following morning. Examples of camping style treks include Kanchenjunga North and South, Rara Lake and Upper Dolpo. 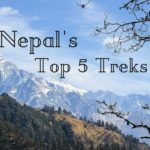 How Difficult is a Trek in Nepal? Trekking demands both mental and physical fitness but the actual level of difficulty varies depending on the region, season and the kind of trek undertaken. Trekking in the Everest region is considered more difficult than trekking in the Annapurna region for example but the time of year also plays an important role. Trekking in winter can often guarantee clear blue skies and fewer trekkers, but the cold also makes it more challenging and thorough preparation is paramount. Your mind is in a constant state of flux when trekking. Euphoria at reaching what you thought was the summit of a great big hill can be quashed the instant you realise it is yet another false summit and you are still nowhere near your eventual goal. Hiking up to the 5416m Thorung La (pass) on the Annapurna Circuit is a good example of this. The misery of walking for hours headlong into the wind, the discomfort caused by blisters on your feet, the feeling of grubbiness because you haven’t showered for three or four days – you will encounter all these emotions and many more like them when you trek in Nepal. There are, of course, plenty of highs and incredible moments when you undertake a Nepalese trek, not least the sense of elation that you will feel upon completion but, in my opinion, there is nothing wrong with retrospective enjoyment from trekking and it’s OK to have a bit of moan along the way. Nobody will take any notice but you’ll feel all the better for it! Physically, I cannot stress enough how important it is to get fit before undertaking a trek. Even if you are already in good physical shape, remember walking at altitude is way harder than walking at sea level. That’s not to say that trekking in Nepal is only limited to the type of person who undertakes triathlons. This is certainly not the case and I’ve seen all manner of people walking the trails. 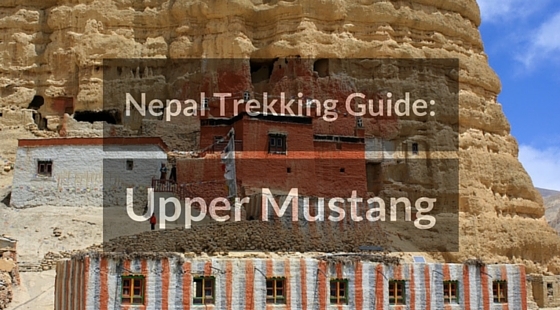 My father, for example, undertook the 21-day trek to Upper Mustang at the age of seventy and completed it without any serious issues. The key is to walk at your own pace, rest when you feel it is necessary and not to bow down to peer pressure. Also remember to look at the view – it is after all one of the main reasons for undertaking a trek! Trekking is also a great way to get fit and also lose some weight into the bargain. When Kirsty and I were based in Nepal, I undertook 9 treks, hiked for 60 days and walked approximately 750km of trekking trail over the course of a 6 month period. Before I started my first trek I weighed 80kg. At the end of the last trek I was down to 65kg. I appreciate this is an extreme example but you get the point. My father lost 7kg over the course of his 21-day trek. 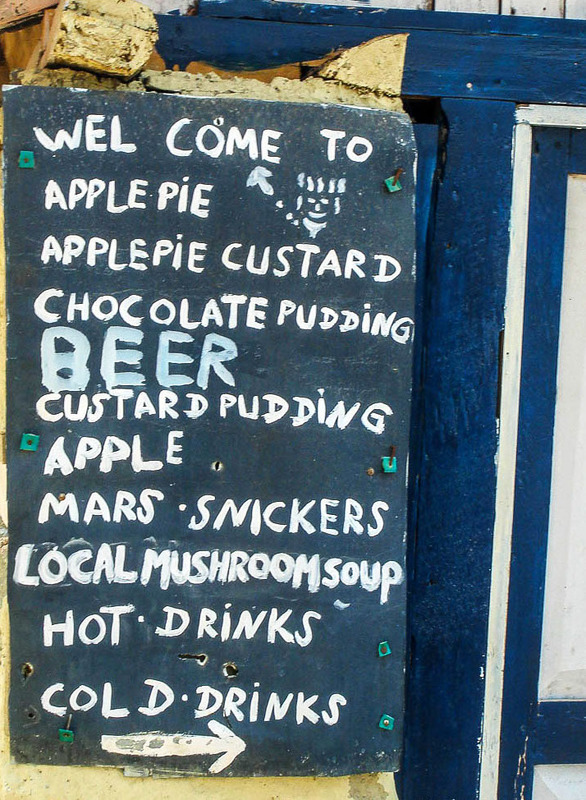 And the best thing of all, you can eat and drink what you want. In fact, you will over-eat in the mountains; you have to because you are burning off more calories than usual and you need to get them back in order to keep your energy levels up. When trekking in Nepal it is important to remember one key point; expect the unexpected. The weather plays an important factor in the mountains and during these times of global warming it is not that easy to predict the weather from season to season. Hence conditions on the trail can change at any time. At higher altitudes, it is not uncommon to have blue sky and glorious sunshine on setting out in the morning, only to be battling your way through a blizzard just a few hours later. Adopting a ‘layered system’ when dressing for the trail is the best approach. Furthermore, if you are using the services of a porter or undertaking an organised trek, carry everything you need for the day as you might not see your porter again until you arrive at your evening destination. Although individual pace, type of trek and group size ultimately determines the routine, as a general rule it is early to bed and early to rise. The day starts with mustering up the courage to get out of your nice, warm sleeping bag anytime between 6am and 7am. This is followed by a quick wash (*) and a hearty breakfast. (*) Taking a shower during a trek is almost always a mid to late afternoon event after you’ve stopped for the day and before you relax with a hot drink. Unless you are staying in an upmarket lodge (Ker & Downey, Everest Summit Lodge for example), showering in the morning is not an option (hot water is solar heated and therefore only warm enough late in the day). Additionally, be considerate to other trekkers and don’t spend ages in the shower and hog all the hot water – do what you need to do and then get out. It’s normal to be out and on the trail by 8am or before and to walk for a good 3 to 4 hours before stopping for lunch. During the morning walk, most trekkers take a 30 minute tea break along the way. Lunch is invariably before or close to midday with plenty of time for digestion and then it’s a shorter walk in the afternoon followed by relaxation time at the teahouse, lodge or camp. This is the time to take a shower if you want (or need) one, write your diary or blog entry (if you keep one), and do any laundry you might have. Personally, I also take this time to sort myself out for the next day of walking – have a look at the map, see where I’ve been, where I’m going, that sort of thing. You will also observe on a trek that you will end up spending an inordinate amount of time packing and re-packing your bag. Don’t ask me why this is the case, it just is, and must be some sort of trekking thing but again, the afternoon is the best time to undertake this time consuming task! At most teahouses you will be asked to pre-order your dinner when you check in and normally you will eat between 6pm and 7pm. Apart from chatting to other trekkers, there isn’t a whole lot to do after dinner so bedtime is usually not that long thereafter. Keep your torch handy as there isn’t normally any power during the night. And finally … enjoy some of the best night’s sleep you’re likely to have since you were a baby. Flights in and out of Lukla (Everest region) and Jomsom (Annapurna region) are weather dependent and are often delayed or cancelled. As a result, if you are on fixed schedule and heading back to Kathmandu for an onward international flight, it is strongly recommended to build at least one contingency day back in Kathmandu (two would be better) into your itinerary. Be assured, a day or two of chilling in Kathmandu because your flight back from the mountains miraculously took off as per schedule is preferable to trying to reschedule an international flight home because the one you were booked on took off two days previous! Given the remoteness of many trekking regions, it is surprising how tasty and varied the food can be. This is especially true if you are staying in upmarket lodges (Ker & Downey, Yeti Mountain Homes, etc.) or if you are on an organised camping trek. On the latter, a good cook will often conjure up pretty outstanding meals given the limited resources available to him. The staple meal in the mountains (in fact in the whole of Nepal) is dal bhat tarkari (often just shortened to dal bhat). 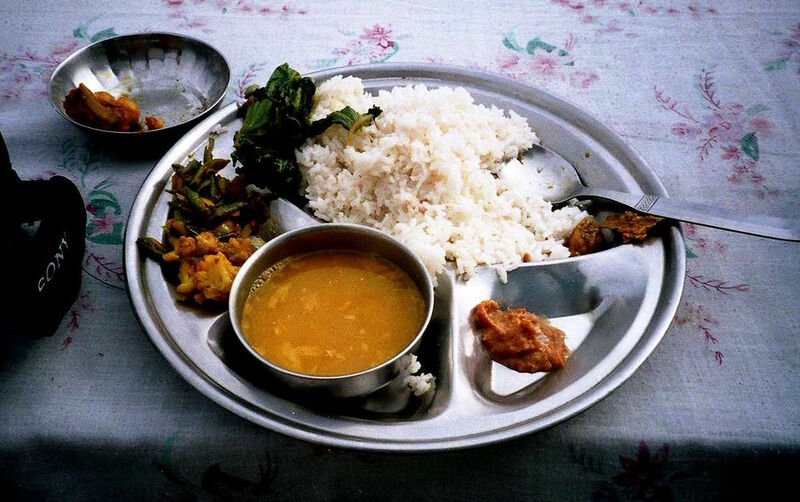 Similar to thali in India, this meal consist of rice, lentil soup and curried vegetables. Sometimes you will be offered additional accompaniments such as pickles, curd and either papads or chapatis. If meat is on the menu it will most likely be chicken. Given that it is normally the best value item on the menu plus the fact that you will be offered unlimited refills on rice, lentils and vegetables, dal bhat is a great choice for calorie-starved trekkers. The big problem with dal bhat is that it quickly becomes boring. Thankfully other regional dishes and an array of inventive international dishes may also be available. Other meals/food types that you will often see on the menu include momos (dumplings), porridge (for breakfast), hot sizzler steaks (yak or buffalo), chow mien (fried noodles), apple pie (a trekking classic), thukpa (thick Tibetan noodle soup) and Swiss rösti (mashed potato topped with yak cheese). The cost of a room is often nominal at many teahouses on the understanding that you eat (and pay for) breakfast and dinner at the establishment. Figure on a higher rate than expected on the room when you come to check out if you have eaten your meals elsewhere. As a general rule, the higher into the hills you go, the more limited the menu and the more expensive the items on it become. In teahouses, meals tend to be ordered from a menu whilst in lodges a fixed menu or buffet is normally the order of the day. All manner of drinks are also available on established trekking routes, from filtered water (*) and fresh juices right through to a cold beer and a decent bottle of Australian red. (*) There is no need to buy bottled water on a trek. Practically all teahouses and lodges provide filtered/boiled water for a nominal charge and on a camping trek, safe drinking water will be included as standard. Bottled water is expensive by comparison and you will only be fuelling Nepal’s ever-growing plastic waste problem. Alternatively, purify water yourself using a Steripen, water purifying tablets or a filtration system. Up in the mountains, prices for drinks (and also food) are higher than in the lowlands of Nepal but you will understand why when you see a hardened porter carrying a dozen or so boxes of bottled beer up and over a mountain pass. Tea is a staple in the mountains – black, masala and ginger teas are among the most readily available. Whatever you order, expect it to come pre-sweetened. Even if you don’t normally take sugar in your tea, I would suggest not worrying about it too much for the duration of your trek – the sugar is a welcome source of energy! 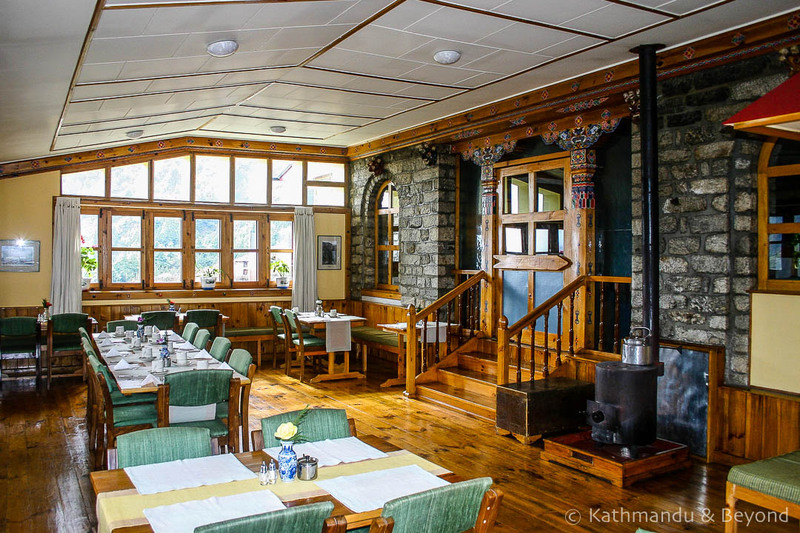 In metropolises such as Namche Bazaar, Jomsom and Lukla you will find excellent coffee and some very tasty cake or savoury pastries to accompany it! Simply put, a guide (often referred to as a sherpa) will know the terrain and will guide you along the trail. This person will have good command of English, walk with you and point out things of interest. The guide will also assist in finding you a room and ordering your meals, translate where necessary and be on hand to sort out any problems you may have along the way. Guides tend to carry only their own personal gear, and not yours. A porter’s job, on the other hand, is predominately to carry a load. Porters rarely speak English (although some do) and while you will more than likely have interaction with them, it will not be on the same level as it would with a guide. As an example, if as a single trekker, you hired a guide and a porter, the guide will accompany you along the trails, sort out your order at mealtimes and generally do guide things. Your porter will collect your bag from you after breakfast and then head off along the trail. He will then be waiting at the next teahouse with your kit and deliver it to your room once you have settled in. You might not see him in-between times although the likelihood of seeing him at lunchtime is pretty high. It is also possible to hire a porter-guide. Their main responsibility is still to carry your kit from one destination to the next but they can also handle some of the duties undertaken by a guide – for example, helping you find a teahouse, etc. They will also walk with you rather than ahead or behind. As a guideline, expect to pay US$25 per day for a guide and US$15 per day for a porter. These prices (2016) include an allowance for rudimentary food and lodging. Both guides and porters expect to be tipped at the end of a trek. It’s a very hard life, especially for a porter, so be as generous as you can afford to be (*). Porters also appreciate any trekking cast-offs – half empty bottles of toiletries, unused medicines, uneaten snacks and any gear that you don’t want any more or can’t be bothered to carry back home (especially boots that you hate with a vengeance and never want to see again!). 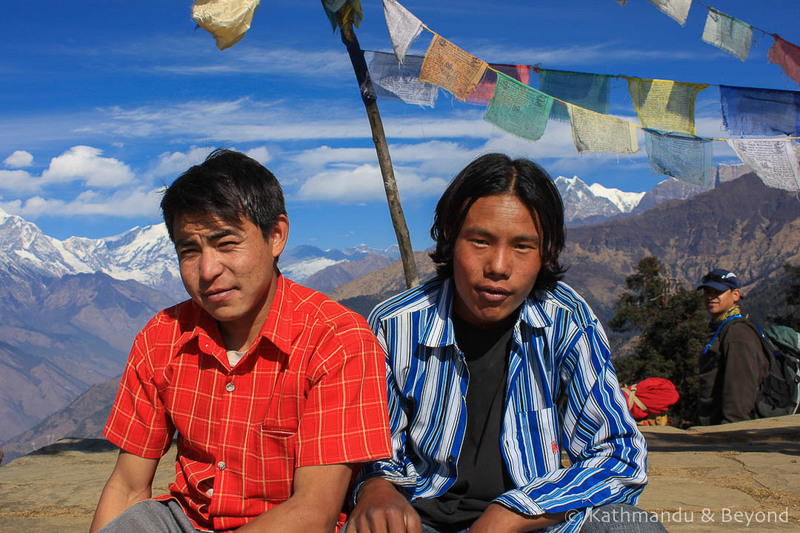 (*) This normally isn’t too much of a dilemma as in all probability you will create an incredible bond with both guides and porters. I had the same porter for all my treks in Nepal when I was there and to this day still consider him to be one of the kindest, funniest and most lovable people I have ever met. If you are trekking independently and want to hire the services of a guide and/or porter then it is advisable to do so either through an accredited trekking agency or via a recommendation. 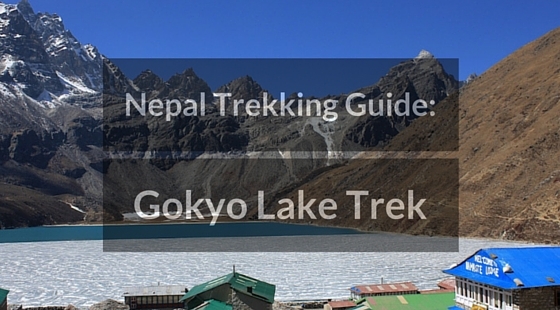 The Lonely Planet guide to Trekking in the Nepal Himalaya has a comprehensive list of local trekking agencies. I can also help and put you in touch with reliable companies/guides/porters. Please contact me directly if you want my help with this. Is it necessary to Hire the Service of a Guide and/or Porter for a Trek in Nepal? Are you happy to carry your own gear for the duration of a trek? Are you confident you will be able to solve any problem that may arise during your trek? (*) Independent trekking does not equal trekking alone. Trekking solo in Nepal is a bad idea for several reasons (risk of serious life-threatening injury, becoming lost, bad weather closing in, robbery and assault, etc.) and I highly discourage anyone from doing so. If the answer to any of the above questions is no, then you should consider hiring some sort of assistance to make your trek more pleasurable. I have trekked both independently and with a crew in Nepal and enjoyed both. Time limitations notwithstanding, independent trekking gives you total freedom and flexibility. You can stop when and where you want, make detours, push on if you have the energy or take a day off from walking if the mood takes you. There is also a cost consideration: it is of course cheaper to trek without any assistance. If you are on an organised trek you will not have this dilemma as at least one guide and a number of porters will be included as part of the trek. 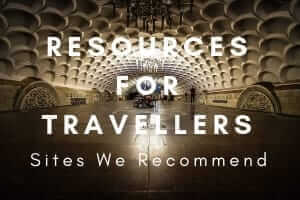 If you are an independent trekker who is budget conscious and/or in two minds about whether to employ some assistance or not, then hiring a porter-guide (mentioned above) could be a good compromise. The benefits of employing the services of a guide and/or porter are numerous. Not having to carry your own kit is the obvious one but there are many more besides. 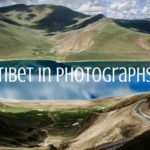 For example, you will learn information from the guide that you won’t get from your guidebook, there will be some wonderful opportunities for interaction with the Nepalese people and what’s more, much of the responsibility and decision-making will be taken away from you which should result in a more enjoyable trek. Hiring a trekking crew is not without its drawbacks and frustrations however. For starters, your trekking itinerary becomes more rigid as soon as you take on a guide and/or porter. Adding in an additional rest day, walking an extra hour or so beyond the proposed overnight stopping place or detouring off the agreed route are all examples of things that will either be stonewalled by your trekking crew or involve discussion and negotiation and often additional expense. In a way you can’t blame porters for not wanting to continue walking for an extra couple of hours. They are, after all, carrying a lot more than you are, but it can lead to frustrations nonetheless. You also have a sense of duty and responsibility for the welfare of the Nepalese that you employ. Generally speaking, guides are better off than porters. They usually have decent gear (albeit Nepalese brand rather than international), good footwear and are financially better off whereas porters usually come from poor backgrounds and cannot always afford appropriate trekking attire. The responsibility for ensuring they are suitably kitted out therefore falls to the trekking company through whom you hired them in the first place, but the problem is, not all such companies treat this duty with the importance it deserves and you will often see porters on the trails and at high altitudes in completely inappropriate clothing. As a result, the welfare responsibility lands on your shoulders. I’m not saying that you need to personally kit out your porter and ensure he has the right gear for the trip but you should ask questions of the company you are dealing with. Ask to see examples of the clothes and shoes they will be providing. If you are heading high (around 4000m or above), their equipment should include items such as gloves, a hat and a pair of sunglasses, and appropriate footwear. Check trekking crew members are adequately insured. Ask what plan is in place should a member of the team get sick and needs to be evacuated and whether subsequent medical treatment is provided. Ask where they will sleep, how many meals are included, etc. You will quickly get a general feel for the trekking agency you are dealing with by asking such questions and if they are hesitant when answering or you are not happy with the replies, don’t commit to using their services. Find another company. Don’t overload your porter with too much weight. Think backpacker. Treat your porter with respect, he’s not a pack mule. Buy your porter a treat such as a chocolate bar every now and then. Make sure your porter has an adequate place to sleep at night. Tip your porter as generously as you can. And finally, never, I repeat never, walk into a room full of half-awake porters in the early morning. The smell of overnight farts and malodorous feet will be enough to turn your stomach for the rest of the day! 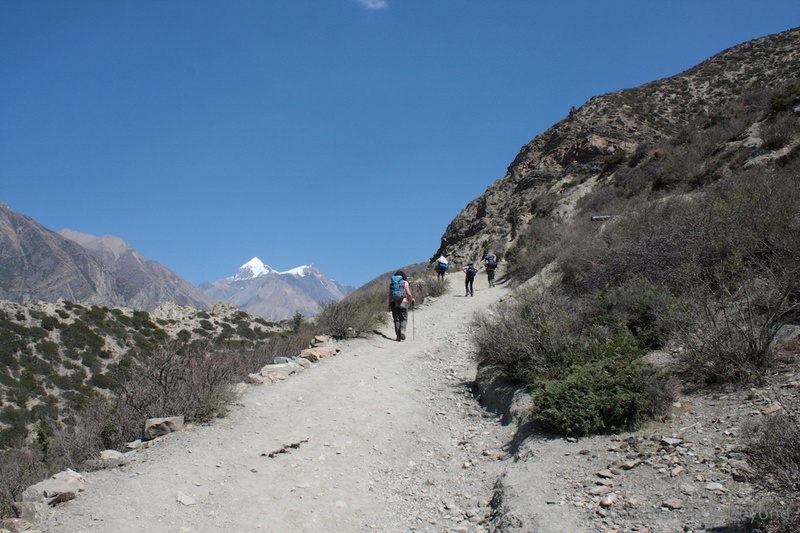 Trekking in Nepal often involves a great deal of altitude gain or loss (daily ups and downs) and Acute Mountain Sickness (AMS) can occur at high elevations. The only way to guarantee avoiding the risk completely is to remain below 2500m to 3000m but on treks that do reach higher elevations it is extremely important that rest days (known as acclimatisation days) are incorporated into the itinerary. Shorter trekking days, especially when reaching the 4500m plus mark, further aid the process of acclimatisation. AMS is a strange one as it is not related to fitness, gender or age and so in reality anyone trekking above 3000m can get it. Furthermore, recognising the symptoms of AMS is not always easy. There are several indications of AMS but not everyone gets the same ones. Common symptoms include dizziness, headache, fatigue, nausea, pins and needles, swelling (particularly hands, feet and around the face) and a lack of appetite. And there is only one cure: you must rest and hope for improvement or go down in elevation. If you don’t, or worse, you ignore the symptoms and push on higher, then there is a real risk of getting pulmonary edema (fluid in the lungs) and cerebral edema (swelling of the brain). Acetazolamide (Diamox) is one drug on the market that can help alleviate the effects of AMS but it is not a magical cure. The golden rule is to acclimatise by allowing your body to adjust, incorporating rest days into your itinerary and not ascending more than 500m start to finish in one day when above an altitude of 3000m. Turning back and heading down because you are showing signs of AMS is one of the hardest things you will have to do on a trek. 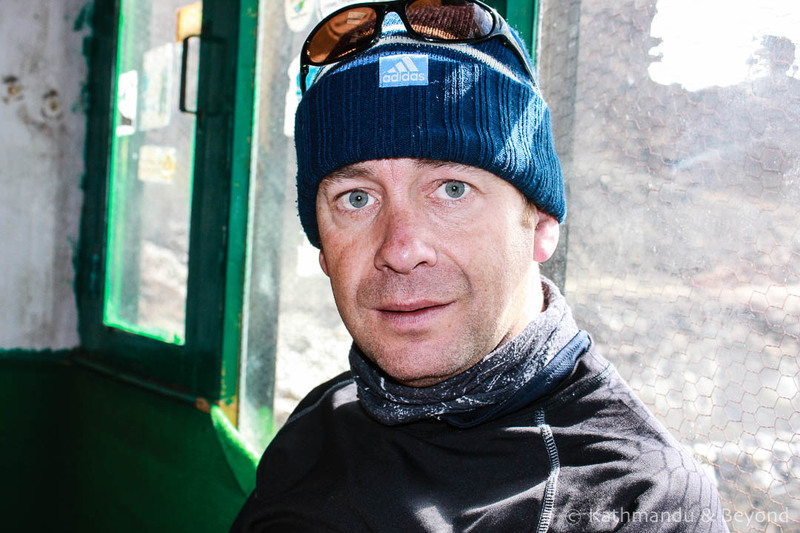 Both physically and mentally, it is crushing but there is really no other choice if you haven’t shown any marked improvement by resting at the altitude at which you got ill. Thankfully, I have only had AMS once, en route to Everest Base Camp. I was in Lobuche (4940m), which is just a few hours walk from Gorakshep and Base Camp itself when I started feeling the initial symptoms of AMS. I had lost my appetite and had a thumping headache. I went to bed early and had a terrible night but it wasn’t until the morning that my trekking partner recognised it as the onset of AMS. I tried to walk across the courtyard to the outside toilet and pretty much zigzagged the whole way. It was like I was drunk and this similarity was further compounded by the fact that I was slurring my words as well. We immediately packed our kit and headed back down to Dungla (4650m) which was 290m lower than Lobuche. This was depressing as the steep section that separates the two places was a particularly nasty one and I wasn’t in any mood to go down it again just after I had climbed up it. I slept and recovered in Dungla and then went back up to Lobuche the next morning with the aim of sleeping there once more and then pushing on to Gorakshep the day after. I had done everything right, but by late afternoon, my breathing was very erratic and I was feeling even worse than the day before. I had to go down again. If descending the above mentioned steep section the day before was depressing, it was nothing compared to what it felt like doing it yet again. By the time we set off from Lobouche it was dark and this time my trekking partner decided we should head down even further so we walked to Periche which is about 570m lower than Lobuche. We arrived safely and I instantly began to feel better but all things considered, it was a very dark day for me as I knew I wouldn’t attempt to get beyond Lobuche again on this trek. In other words; I wasn’t going to make it to Everest Base Camp (*). To demonstrate that AMS can be a cruel mistress, after a few days of rest, I trekked up to Gokyo Ri, which is situated at 5360m, without any issues whatsoever. I had a trekking team on this particular trek and if there is ever a good reason to employ their services then this is it. (*) I did the same trek to Everest Base Camp a few years later, accompanied by my parents, both experienced long-distance walkers. We trekked from Jiri to Lukla, a horrible trek, full of ups and downs, but excellent for acclimatisation. Everything was going well for all of us until we reached Dingboche, which is the overnight stop before Lobuche. At Dingboche, my mother starting showing signs of AMS and by the following morning we knew we had no option but to get her down to a lower altitude. On the plus side, I recognised the symptoms and was able to react appropriately but once again it was a dispiriting moment. To date, no member of my family has reached Everest Base Camp – I have several nieces however, a couple of whom enjoy walking, so I haven’t given up hope yet! 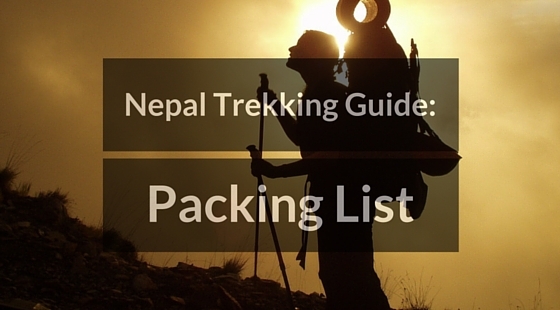 What to pack for a trek in Nepal is a post in its own right! And so, for a detailed account of what to pack for a trekking trip click here. On the popular Everest and Annapurna treks always try and stop short of or head beyond the Lonely Planet recommended overnight stopping place. Teahouses in these places get more than their fair share of trekking business and in some cases the owners have become complacent. Stopping short or heading beyond ensures you share the wealth. The owners are more grateful for your business and what’s more, you will get a better night’s sleep (less trekkers = less heavy boots = less noise). In teahouses, try and get a room away from the kitchen area. 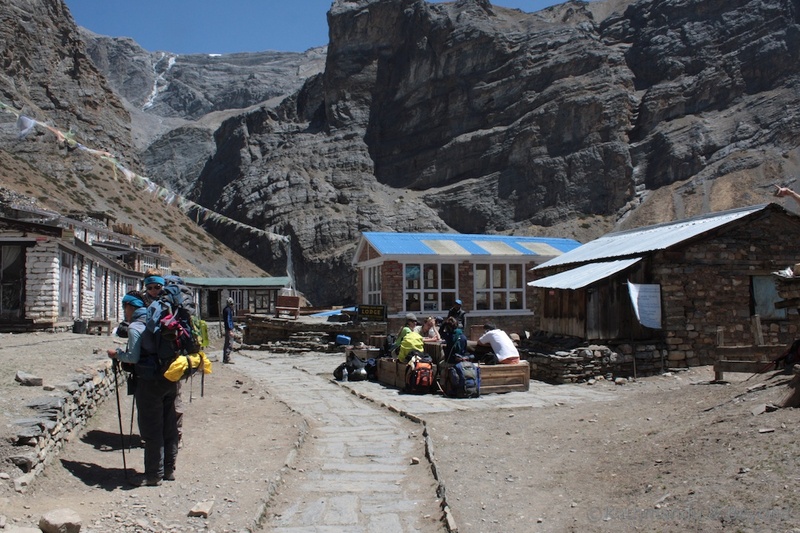 This is where locals, porters and guides congregate. They have more energy than weary trekkers and sometimes stay up late, chatting, playing games and drinking locally-made home-brew known as raksi. I’m not saying there is a full-on party every night, far from it, but it’s worth keeping in mind when you check in. When you arrive at your accommodation for the night after a full day of walking, you will be exhausted and probably just want to rest. This is not a good idea if you have things to do, want to take a shower, etc. My advice is to do everything you need to do straight away, whilst your body temperature is still warm. You will cool down very quickly once you stop being active and possibly seize up a little as well so it is best to get everything done, then put on some warm dry clothes and relax. When you take a shower, ensure you wash and rinse your hair as a priority just in case the hot water runs out. Be quick! Place camera batteries in the bottom of your sleeping bag at night in order to keep them warm. The battery life will last longer. Get inside your sleeping bag with as little on as possible, especially when it is particularly cold. Getting into a sleeping bag fully clothed means that eventually you will sweat. The moisture will not be able to escape and you will end up feeling very cold. If you keep your head outside the bag while sleeping, it is OK to wear a wooly hat to prevent heat loss through your head. If you carry an aluminium or stainless steel water bottle (such as a SIGG brand), you can fill it with boiling water just before you go to bed, place it inside a clean sock and use it as a hot water bottle. In the morning, the water is cool and drinkable. Attention Marmite lovers; carry a squeezy jar of this gorgeous stuff rather than a glass one; it’s not so heavy and has less chance of breaking. Furthermore, don’t let your porter try it; he may like it and a Marmite-loving porter equals less Marmite for you! You will come across many exposed trails with sheer drops when trekking in Nepal. Keep your eyes down and look where you are putting your boots rather than admire the surrounding mountain views. You can always turn round, stop, and enjoy the view once you have crossed safely. Subscribe to Kathmandu & Beyond to access our guides to trekking in Nepal as a free ebook, available in PDF, EPUB and MOBI formats. Enter your email address below and don't forget to confirm your subscription via the link in your inbox to complete the process! Thank you for subscribing! In order to complete the subscription process and to access your free trekking in Nepal ebooks, please confirm via the link in your inbox.